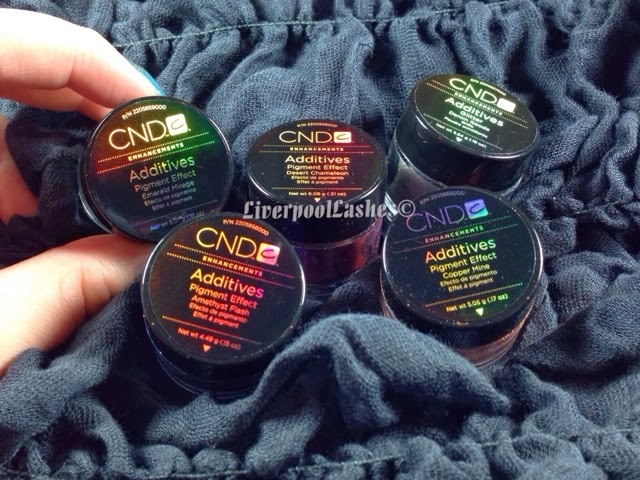 Today's post is all about the new Additives from CND's Open Road Collection. Let me start off by telling you that most of them are pretty gorgeous! 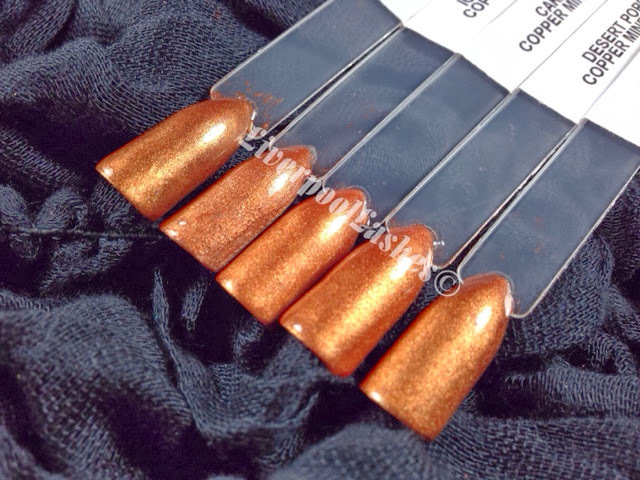 Denim Geode - a grey toned powder that provides an ultra fine holographic shimmer. 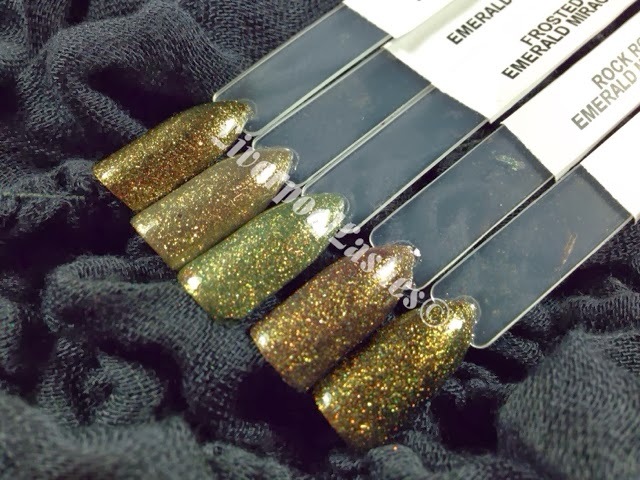 Emerald Mirage - a spring green / gold mix. 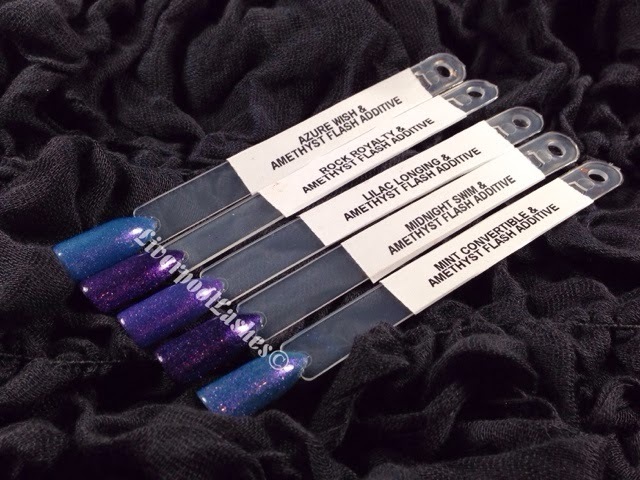 Amethyst Flash - a mix of blue and purple iridescent tones. Copper Mine - straight up copper. Now I choose five Shellac shades per additive to try and show you what they're like over different colours. I could go on forever finding new combinations but hopefully these will give you a good idea of what they're like. 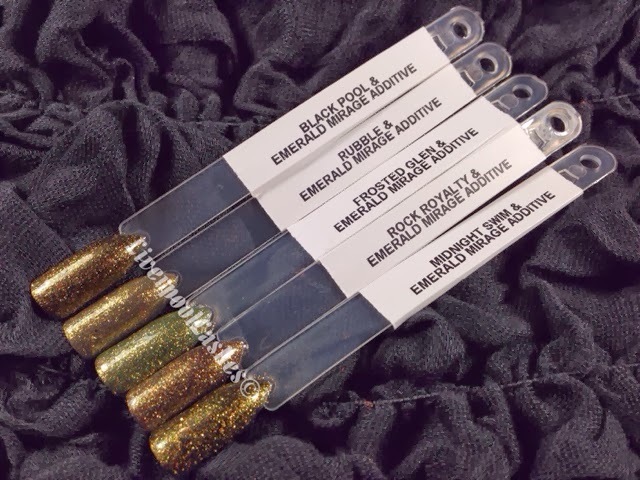 The same shades closer with Emerald Mirage. 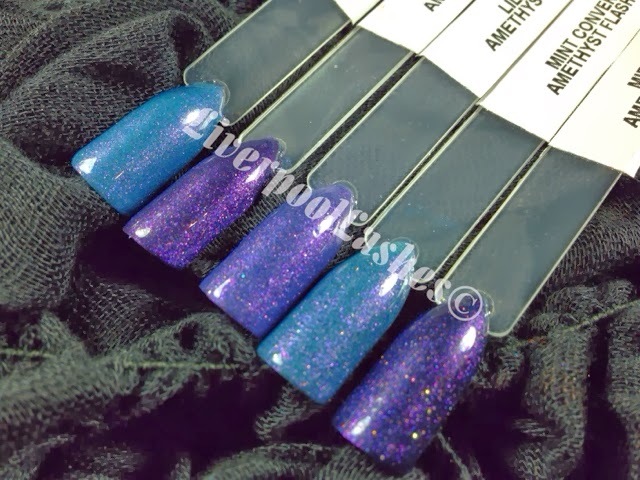 The same shades closer with Amethyst Flash. 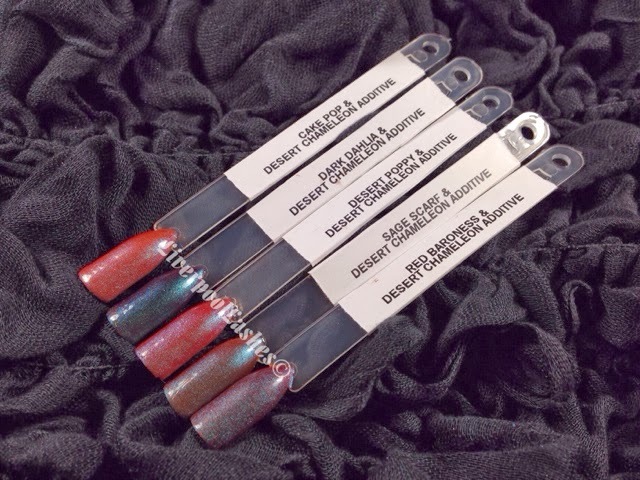 The same shades closer with Desert Chameleon. The same shades closer with Denim Geode. 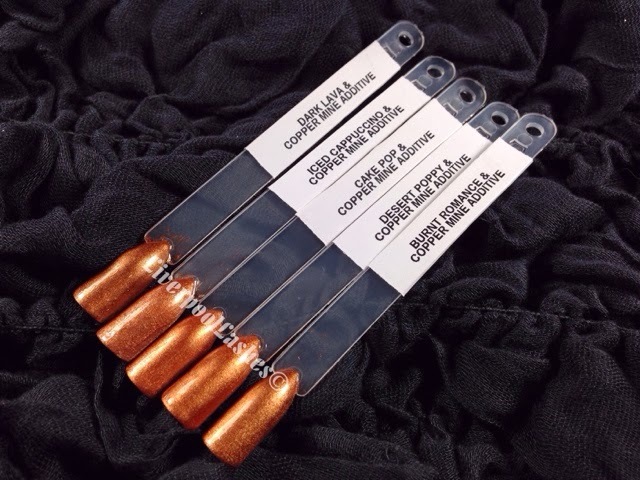 The same shades closer with Copper Mine. Unfortunately Copper Mine only changes slightly. 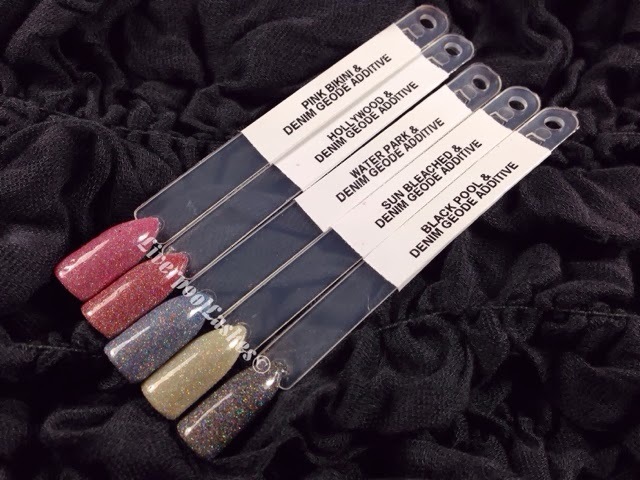 It's more of a shade that I will use with nail art or as a full colour but I am a big fan of the rest of them, they're beautiful!